Bullfrog Spas simply don’t waste energy. 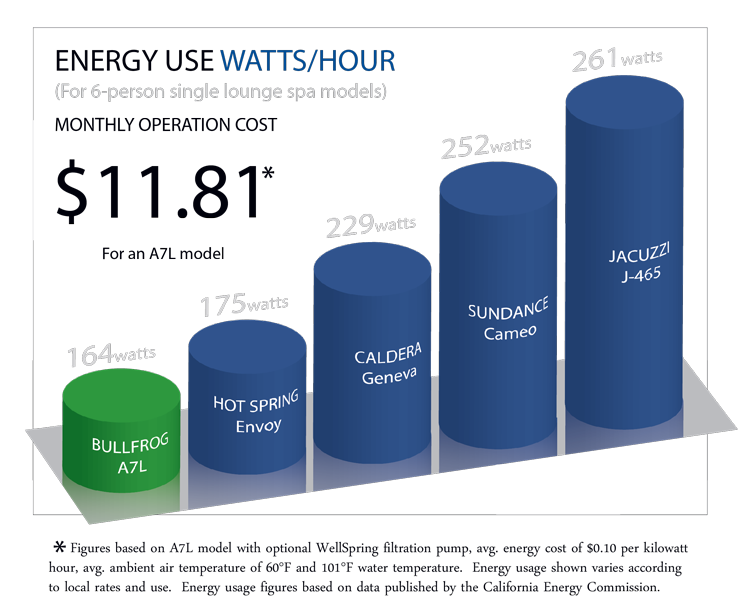 Data compiled by the California Energy Commission shows Bullfrog Spas are the most energy efficient hot tubs in their class and are at least in the top 5 in every category in which we produce a spa model. In many categories Bullfrog Spa models are only behind other slightly more efficient Bullfrog models. How does this work? 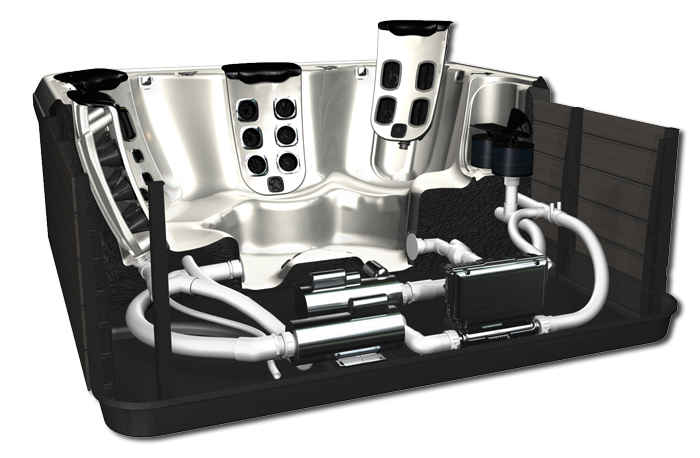 Bullfrog Spas have 90% less plumbing than other spas, which very simply just makes them more efficient. The ability to use 90% less energy gives Bullfrog the advantage. Less plumbing means less friction and less energy used to get water to the jets. The majority of of the water delivery system in a Bullfrog Spa is inside of the proprietary H2Air Manifold on the JetPak and is submerged in the hot water, which means the water isn't sitting around in tubs getting cold. This unique and patented energy-saving feature will keep monthly power bills surprisingly low and will keep you relaxed and worry free!